p53 cancer protein, encoded by the human TP53 gene, is one of the most frequently mutated tumour suppressor genes in human cancer, observed in 30% of breast carcinomas. It was discovered by Professor Sir David Lane in the 1970s. Its discovery has revolutionised our understanding of how cancer cells grow and divide. Professor Sir David Lane has accepted our invitation to give a keynote speech on p53 at the symposium. BRCA1 and BRCA2 are another two tumour suppressor genes that have been identified in breast cancer. When either of these genes is mutated, the risk of female breast as well as ovarian cancers increases, accounting for 20-25 percent of hereditary breast cancers and 5-10 percent of all breast cancers. Prof Geoffrey Lindeman has identified, for the first time, the culprit progenitor cell responsible for breast cancer in BRCA1 mutation carriers. This has opened a new pathway for breast cancer treatments and preventions. The Nottingham prognostic index (NPI) has been widely used in clinics to determine prognosis following surgery for breast cancer. The NPI index was developed in Professor Ian O. Ellis and Assistant Professor Andrew Green’s laboratory at the Nottingham City Hospital, UK. A updated version called the Nottingham Prognostic Index Plus (NPI+) has recently been proved to be a modern clinical decision making tool in breast cancer. 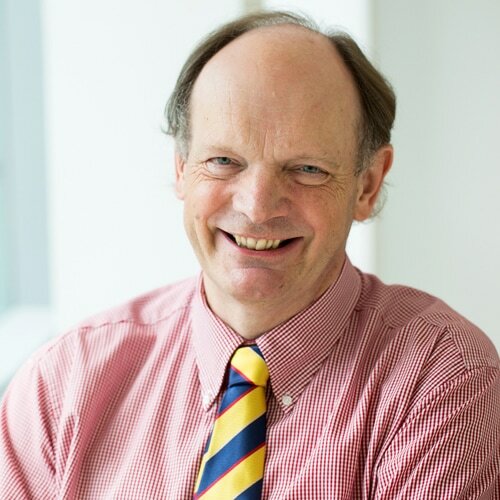 Professor Sir David Lane is currently Chief Scientist of the Agency for Science, Technology and Research (A*STAR) in Singapore and Chairman of Chugai Pharmabody. He is a world-renowned immunologist, molecular biologist and cancer researcher. He is one of the scientists credited with the landmark discovery of cancer gene p53 in 1979. p53, called the "Guardian of the genome" is the most frequently mutated gene in human cancer as more than half of human tumours contain such alterations. Professor Lane was previously the Chairman of A*STAR's Institute of Molecular and Cell Biology (IMCB) scientific advisory board from 2002-2003 and Executive Director, IMCB from 2004-2007, where he added on a translational focus to IMCB’s core strengths in basic R&D recruited many outstanding scientists and personally led efforts to foster greater collaboration, both within and outside of IMCB. He was also the founding CEO of A*STAR’s Experimental Therapeutics Centre, setup in 2006. Professor Lane put in place a robust team of more than 60 scientists and built up top-of-the-line technological platforms essential for the drug discovery business. Professor Lane was also previously the Director of the Cancer Research UK Cell Transformation Research Group and Professor of Oncology at the University of Dundee in Scotland. He had also held the position of Chief Scientist with Cancer Research UK and was the Scientific Director of the Ludwig Institute. For his efforts in cancer research, Professor Lane was knighted in 2000 by Queen Elizabeth II in the New Year honours list in January 2000. He has won many awards such as the Paul Ehrlich Prize in 1998, the Buchanan Medal in 2004, and the Medal of Honour from the International Agency for Research on Cancer in 2005 and recently in 2008, the Royal Medal from the Royal Society of Edinburgh. He is a member of the European Molecular Biology Organisation (EMBO) and a Fellow of UK's premier scientific academy, the Royal Society, the Royal Society of Edinburgh and a founder member of the Academy of Medical Science. Prof Geoffrey Lindeman is Joint Head, ACRF Stem Cells and Cancer Division, NHMRC Senior Principal Research Fellow at the Walter and Eliza Hall Institute of Medical Research, Australia. He is also a Medical Oncologist at the Royal Melbourne Hospital and Peter MacCallum Cancer Centre (Victorian Comprehensive Cancer Centre), and holds an honorary appointment as Professorial Fellow in the Department of Medicine, University of Melbourne. Professor Lindeman was recently elected as a Fellow of the Australian Academy of Science for his outstanding contribution to science and scientific research. Professor Lindeman and his team identified the stem and daughter ‘progenitor’ cells that generate all ductal tissue in the breast, in both mice and humans. His group was the first to identify the culprit progenitor cell responsible for breast cancer in BRCA1 mutation carriers. These discoveries have provided a new framework for studying the molecular and cellular events that lead to breast cancer, with direct implications for treatment and prevention of the disease. He has translated his group’s fundamental research findings into novel early phase clinical trials. 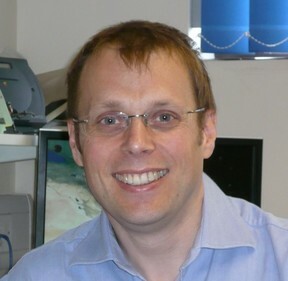 Dr Andrew Green is Assistant Professor at the University of Nottingham. 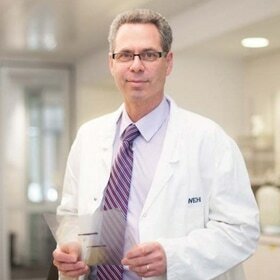 He has over 24 years in the practical experience of the investigation into breast cancer at the molecular level. He was awarded a PhD from the University of Hull, in 1997 on ‘Regulatory factors in human breast’ particularly focussing on the mechanisms involved in estrogen biosynthesis using in vitro primary cell models. Subsequently, Andy spent six years at the MRC Toxicology Unit, Leicester, primarily investigating the carcinogenic mechanisms of selective estrogen receptor modulators using in vivo models. In 2003, Andy joined the Breast Cancer Pathology Research Group in the School of Medicine at the University of Nottingham led by Prof Ian Ellis. His main focus is the exploration of the hypothesis that a novel classification of breast cancer based on phenotypic and molecular genetic characteristics will provide a more robust system for classification and therapeutic decision-making. Through his research he has continued to utilise digital pathology to maximise research. Andy has a sustained publication track record with over 200 publications in international scientific journals including NATURE, NATURE MEDICINE, JOURNAL OF CLINICAL ONCOLOGY, and PLoS. He is a member of the British Breast Group, Pathological Society of Great Britain and Ireland and the British Association for Cancer Research. Our poster boards will accommodate either of the below dimensions. Poster size: A0, portrait, width x height (841 x 1189 mm, i.e. 33.1 x 46.8 in). Poster size: A0, landscape, width x height (1189 x 841 mm, 46.8 x 33.1 in).